Your intentions can be enormously powerful, yet they must be clear, specific and meaningful. If you just have a vague idea of the results you intend, the results you actually get will have little value. Decide what you wish to do today, or this month, or this year, and make it precise. In order to be fully committed, you must know exactly what you’re committed to doing. The more clearly you visualize your intentions, the more powerful you make them. When you can see exactly where you’re going, you can also find realistic and workable ways to get there. The power of your intentions also comes from the strength of purpose behind them. When they’re solidly connected to what’s meaningful in your life, then you’ll put your best efforts into making those intentions happen. Your intentions are powerful precisely because they enable you to focus and harness your substantial energy. Your intentions bring results because they compel you to create those results. Make them clear and meaningful, and give your intentions the power they deserve. They’ll push you forward in creating the great life you deserve. Posted on February 17, 2014 by ladyoftheabyssPosted in Articles, Daily PostsTagged Allegedly Unethical Firms, Business, Clear Channel Communications, Energy, Fun, Inspirational, Philosophy, Technology. Mars represents those qualities we commonly associate with the male/yang persona. Mars traits include raw energy, ambition, aggression, confidence, passion, and a sense of adventure. The occurrence of Mars denotes the dominating presence or need of the qualities listed above. Martian influence may have a negative impact unless it is balanced with an influence that can blunt the brashness and impulsiveness of Mars. Posted on February 17, 2014 by ladyoftheabyssPosted in Articles, Daily PostsTagged Ancient Symbol Card, Astronomy, Jet Propulsion Laboratory, Mars, NASA, Planet, Solar System, Space, Technology. Frustration is a painful, debilitating feeling that can often cause you to do things you’ll regret. So choose to quickly let it go. Frustration, as automatic and overpowering as it may seem, is a choice. And you can always make a different choice. The habit of reacting in frustration is just that, a habit. Like any other habit you’ve developed, you can get rid of it when you choose. Yes, life regularly presents you with difficult dilemmas for which frustration is a perfectly understandable reaction. Other than grabbing your attention, however, your frustration never does accomplish much. So once you’re aware of the frustrating situation, make the choice to find a more useful, effective response. Step back from the desire for instant drama, and work on creating some long-term positive results. Channel the high-powered energy of frustration into intentional, focused, positive action. Give yourself the option to act effectively and appropriately, and you’ll find you have no need for frustration. Posted on February 4, 2014 by ladyoftheabyssPosted in Articles, Daily PostsTagged Abortion, Business, Frustration, Health, Organizations, Technology, Television, United States. You will find you have within you the ability to resolve all conflicts and disagreements with regard to this aspect. You will find an eloquence you did not realize before. The staff of Mercury was given to him by Apollo in exchange for the lyre. The rod was endowed with the remarkable power of deciding all quarrels and bestowing wonderful eloquence upon its possessor. Mercury proved this when he saw two serpents fighting. 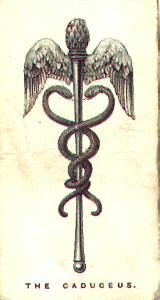 Placing the rod between them and using his eloquence he reconciled the serpents, who then embraced each other, and becoming attached to the rod formed the caduceus. The pine cone is credited with health giving power, and the wings symbolize speed and the flight of thoughts between friends. This ancient talisman was supposed to be a charm for prosperity, rendering its possessor healthy, wealthy and wise. Posted on January 24, 2014 by ladyoftheabyssPosted in Articles, Daily PostsTagged Apollo, Autos, eloquence, Health, Mercury, Recreation, Space, Technology, The Caduceus, United States. 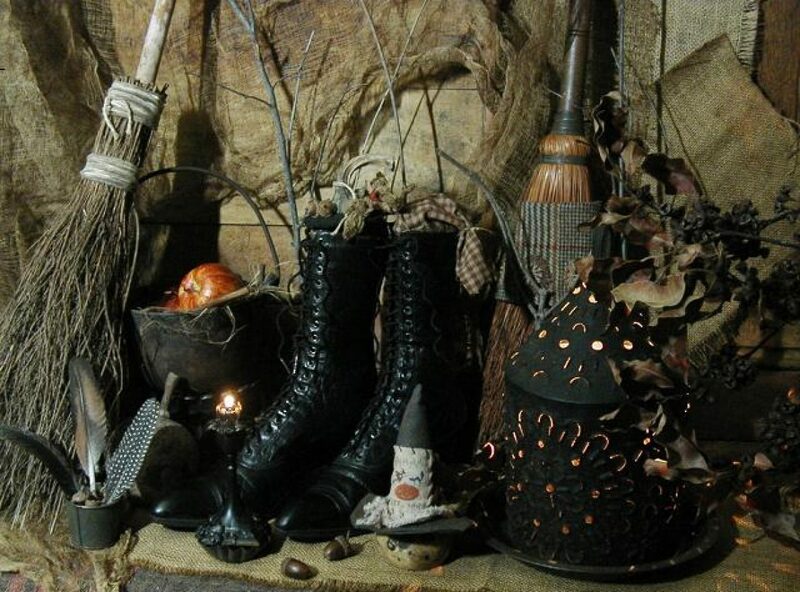 magical arts, and by working through the disappointment and discouragement, he can reach greater self-knowledge and technical expertise in the art. tool, how-ever, its ability is limited to the operator’s knowledge and skill. of your arms and hands/ determination and will. manifest. In its own time and way, your wish materializes. you haven’t got sufficient strength to manipulate it. read the script into a tape, or have a friend lead you through it. you could almost float away………. your eyes, and return feeling relaxed, alert and at peace. lives, new opportunities, and new magical opportunities are born! 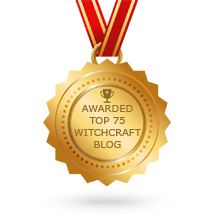 Posted on January 22, 2014 by ladyoftheabyssPosted in Articles, Daily Posts, Wicca, WitchcraftTagged Alternative, Bow and arrow, Energy, Intention, New Age, Religion and Spirituality, Shopping, Sphere, Technology. To Know: Knowledge is the first key in any magickal working. We must know what we want to do, and how to do it with skill. To Will: The focus of will provides the external energy necessary to do Work. this diagram in three dimensions, rather than the two of the computer screen. Posted on January 22, 2014 by ladyoftheabyssPosted in Articles, Daily Posts, Wicca, WitchcraftTagged Energy, external energy, Force, Games, Magick, magickal, Magickal Pyramid, Technology, Thought, Video Games, Wicca. St. Vincent, deacon and first Spanish martyr, was widely venerated during the Middle Ages. This day has long served to watch the weather and the legs, which are ruled by Aquarius. If that the Sun his beams display. Of prosperous weather all the year. That I may play, and sing a Hymne of Love. Posted on January 22, 2014 by ladyoftheabyssPosted in Articles, Daily PostsTagged Apollo, AQUARIUS, Greece, Moon, Space, Sun, Technology, United States, Vincent. Include all 5 senses while making a home, doing so provides safe haven for your evolving body and soul. Your home is your oasis. Through your efforts, your house or apartment can become both a private sanctuary and a welcoming, serene, and healthy place to live in and visit. An organized and comfortable home can have a calming effect on you, your family, and guests, as well as be your personal escape from the rest of the world. Creating this nurturing space isn’t difficult. Even a household that includes young children or multiple animals can be a serene and peaceful place. In just a few minutes, you can make a number of changes that can turn your home into a safe and comfortable haven that you can be proud to share with your loved ones and friends. One way to fill your house or apartment with calming energy is to imbue it with a peaceful ambiance that nurtures all five senses. Soft lighting and soothing colors like blue, purple, and green can make a space feel warm and inviting, while pleasant and calming aromas such as lavender and vanilla can positively affect moods. Peaceful sounds, such as running water in a fountain or gentle chimes can uplift and clear the space, while clearing clutter and making the most of open space can ease internal turmoil and dispel negative feelings. The physical objects in your home as well as your home itself can retain the energy of previous owners and the object’s creator. You can give your household’s energy a lift by visualizing white light surrounding our home, symbolically sweeping out residual energy, or smudging your home with cleansing sage. The changes you make to your home can be as unique as you are and may involve utilization of space, lighting, new furniture, decorating, feng shui, or ritual. But what you do is not as important as being clear in your intention to set up your household as a soothing and refreshing place to be. Make your home a place of comfort, and you will feel nurtured and cared for whenever you are there. Posted on January 16, 2014 by ladyoftheabyssPosted in Articles, Daily PostsTagged Comfort Creating, Energy, Home, Home Improvement, Madisyn Taylor, Physical body, Sense, Space, Technology. On ‘Humanitarian Day’ do something totally swell for someone without letting them know. Pay the toll for the car behind you or sneak a latte onto a coworker’s desk without telling them who put it there. Then do something in your own space that will affect a shift towards peace and harmony. Bring home a healthy green plant, or hang a round and faceted crystal somewhere in your space. The plant will facilitate healing on every level while the crystal will lift the soul and the psyche. When you do anything to improve the place where you reside, you will also improve the neighborhood you live in. And why stop there? This ripple effect can improve the whole world. Just one special something placed with intent inside your space can have a huge impact on the entire universe. That makes you a real and true humanitarian and global citizen in good standing. Posted on January 15, 2014 by ladyoftheabyssPosted in Articles, Daily Posts, Feng Shui TipTagged Boston, Ecology, Education, faceted crystal, Green Lake, green plant, Humanitarian, Indoor air quality, Plant, Shopping, Technology. 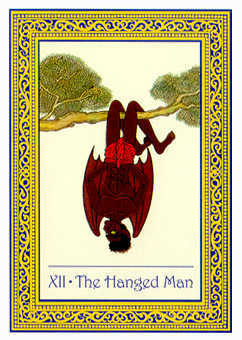 Traditionally, the card known as the Hanged Man usually indicates a lack of ability to help oneself through independent action. This energy is arrested and awaiting judgment. With this card, there is no avenue for the will to regain control until the situation has passed. Posted on December 19, 2013 by ladyoftheabyssPosted in Articles, Daily Posts, TarotTagged Business, Chandelier, Education, Energy, Hang Gliding, Hanged Man, Hanging, independent action, Technology.